The region around Steynsburg is characterised by the Karoo grasslands and scattered koppies. Photo by Oakpics.com. Search and discover “meaning [in] the broad Karoo, the bush, the dusty loam” during the TyrePlus-Tygervalley Trek2Teebus in April 2019. 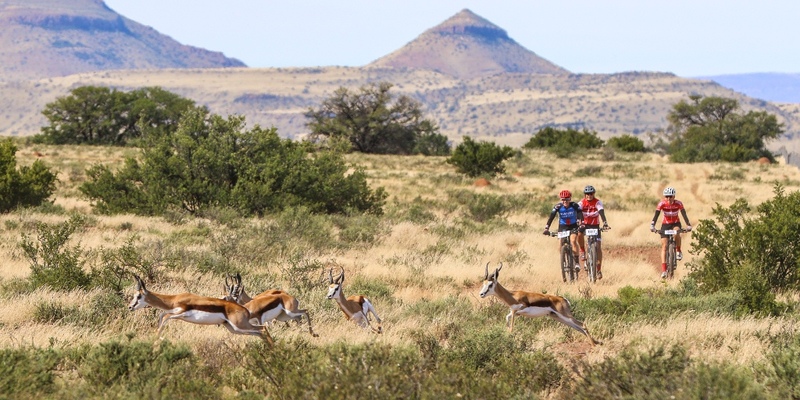 The three day stage race, dubbed a Karoo Adventure takes place from the 26th to the 28th of April between the “kopje-crest[s] that break the veldt around” Steynsburg. On the bike Trek2Teebus provides a total of 210 kilometres of racing across three 72, 55 and 80 kilometre long stages; and takes in 2 100 meters of climbing in the process. The routes traverse the broad grassy planes, ascend the hillocks and trace the cordons of dense greenery which track the watercourses, all of which provide the region with its distinctive scenery. With gravel roads and jeep tracks making up the majority of the distance the riding is largely non-technical, though some rocky sections do provide thrills for those with the skills to take on the challenges at speed. 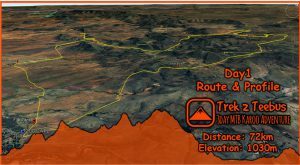 Route highlights include the ascent over the infamous Bulhoek Pass and a descent below the Karoo’s red soils into the Orange-Fish Tunnel. The Bulhoek Pass may be just 4 kilometres in length, but it rises 500 meters in elevation during over that short distance. Its summit will mark the King and Queen of the Mountain for the Trek2Teebus. While for South African history aficionados the pass is made even more memorable as it leads riders across the farm on which Oom Paul Kruger was born. The best and most unique aspect of the event is left for last: a ride into the Orange-Fish Tunnel. Each rider will have the chance to descend to the control room for the 82 kilometre long underground aqueduct – which transports 22 cubic metres of water per second from the Gariep Dam to the Great Fish River. Off the bike Petrichor Adventures’ superb organisation and the world famous Karoo hospitality combine to perfection. 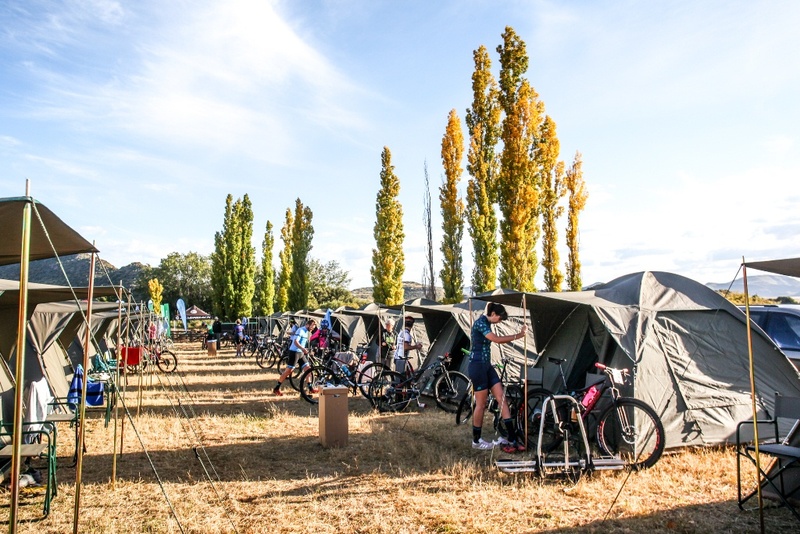 Luxury tented accommodation options and the ability to book for a non-riding partner to accompany riders illustrates the race organisers’ commitment to making Trek2Teebus a pleasurable experience all round. As for the food… riders, and their accompanying friends and family members, can expect traditional hearty and home-made Karoo cuisine. Karoo lamb – as one would expect – is the cornerstone of the dinner menus. The race village for Trek2Teebus is located 12 kilometres west of the small Eastern Cape town of Steynsburg. Situated on the Harmonie Farm it provides the ideal location from which to explore the rural Karoo surroundings. It is an area well-off the usual tourist route and a great deal of the charm is provided by the honest country life – where visitors are greeted with the familiar hospitality of returning friends. 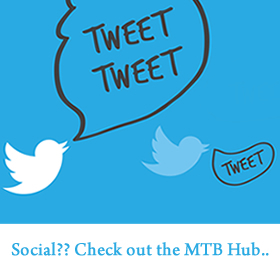 Thanks to the Enduroplanet in Bloemfontein, the official bike shop of the TyrePlus-Tygervalley Trek2Teebus, riders will also be able to book their bikes in for full services during the event. That is not all however; entrants to the race will receive a 15% discount voucher – eligible from the date of entry to the 28th of April 2019 – to spend at the Enduroplanet bike shop in Bloemfontein or online at www.enduroplanet.co.za. Alternatively Enduroplant clients who spend R30 000 or more will receive a free solo entry to the 2019 Trek2Teebus, while those who spend R60 000 or more will receive a free team entry. This provides another added incentive to upgrade one’s bicycle now for the 2019 cycling season. 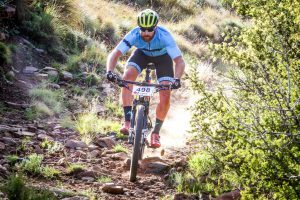 Entries to the 2019 TyrePlus-Tygervalley Trek2Teebus are open and would-be entrants have the option to take part as solo riders or as part of a two person team. Additional options which can be selected during the online entry process include luxury camping, non-rider camping and meal tickets, meal tickets for children and the option to pitch an additional tent of one’s own for the younger members of the family. All these details and more can be found on the event’s website: www.petrichoradventures.co.za. 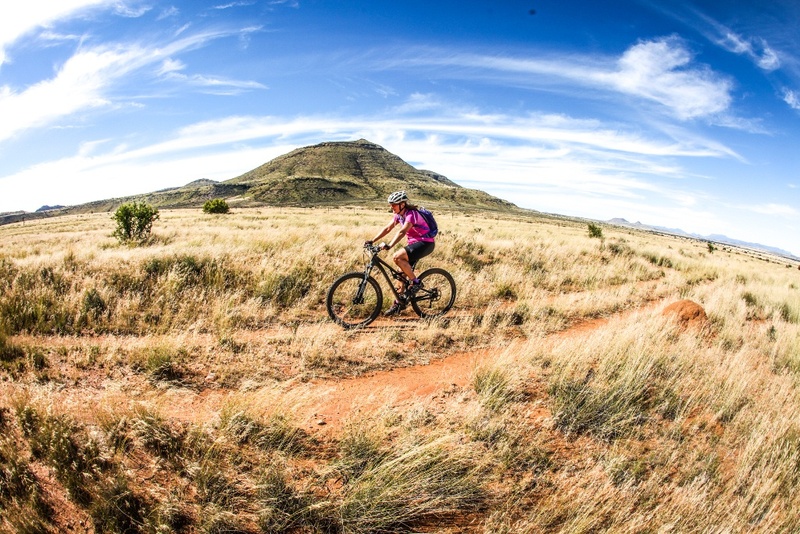 The TyrePlus-Tygervalley Trek2Teebus features scenic Karoo mountain biking through private farms, many of which boast wildlife roaming free. Photo by Oakpics.com. 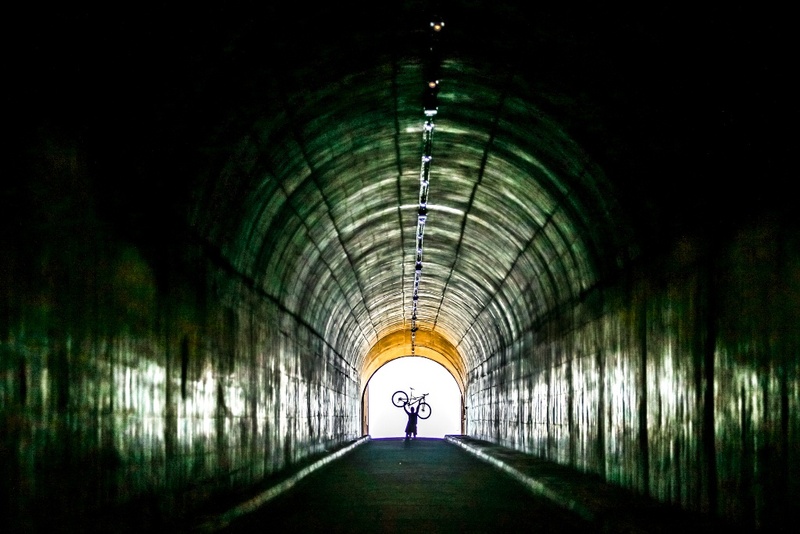 Riding down to the control room of the Orange-Fish Tunnel is a truly unique experience, reserved for TyrePlus-Tygervalley Trek2Teebus entrants. Photo by Oakpics.com. Though the routes are by-in-large non-technical there are some rocky sections upon which to test your skill. Photo by Oakpics.com. Entry options for the 2019 TyrePlus-Tygervalley Trek2Teebus include team entries with luxury tents included. Photo by Oakpics.com. To enter online please visit www.entryninja.com; and like the Trek2Teebus Facebook page to view photos and to stay updated on the news from the 2019 event.